Not to toot my own horn, but what the hell! 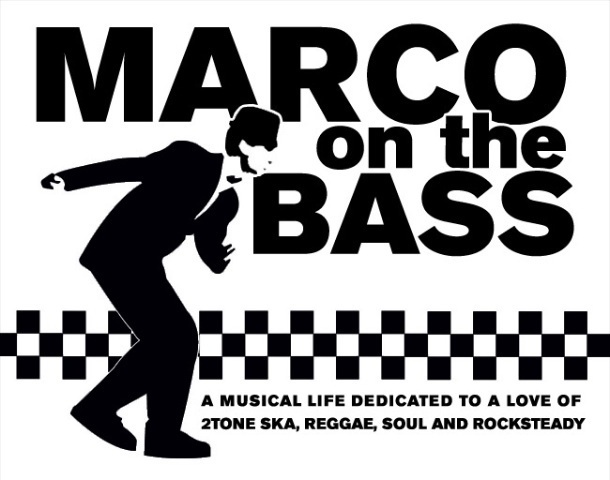 I'm very proud to report that due to interviews I conducted with members of The Beat Brigade earlier this year, the New York ska band decided to reunite and not only that they plan to play out regularly! 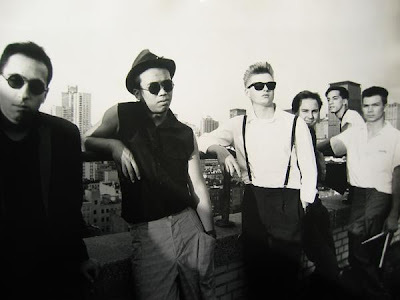 Along with The Toasters, Second Step, The Boilers and The A-Kings, The Beat Brigade were part of the remarkable 2-Tone influenced ska scene that exploded in New York City in the early and mid-80's. In many ways, the band, along with Second Step and The Boilers were directly responsible for influencing me and my original band mates to start Bigger Thomas. The energy and community that was created around all these bands, many of whom were barely out of high school, still lives on. Indeed, the Beat Brigade reunion brought out a lot of old ska heads from back in the day. 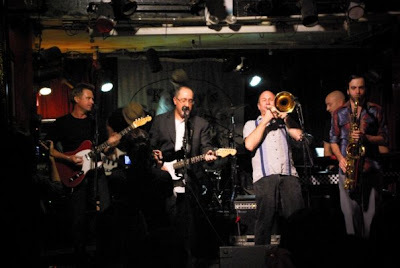 The reunited line-up includes the original members Carmelo DiBartolo and Jack Hoppenstand on vocals and guitar, Frank Usamanont on bass, Erick Storkman on trombone and Dave Barry on keyboards who later went on to play with The Toasters. The band performed with my band Bigger Thomas earlier this month at the Knitting Factory in Brooklyn and played their official reunion show at Kenny's Castaways in New York on November 14th. It was very exciting for me to see the band play again after nearly 22 years and the fan in me kicked in. I brought my Flip Video camera along with me to the show and was able to record the band performing a number of their songs which are posted below including 'Armageddon Beat' which appeared on the N.Y. Beat: Hit & Run album in 1986. Enjoy! The band's MySpace page has orginal recordings of the songs the band played live at the show as well as their updated gig calendar..
i was real bummed i couldnt make it out to the second show. i had radio stuff to do on campus, but seeing that set at the knit was incredible. i felt like it was 1987. Uh, maybe just me but that doesn't look like Eric Storkman (on trombone)...also Dave Barry was not an ORIGINAL member of Beat Brigade...he came along later. Nice to see the boys playing again.